Phil Savitz has coached boys high school soccer for 37 years and serves as the Girls Co-Director of Soccer at South Carolina United, which he joined 11 years ago upon its inception. Savitiz's high school teams have won than 700 games and have won a record 15 4A State Championships. 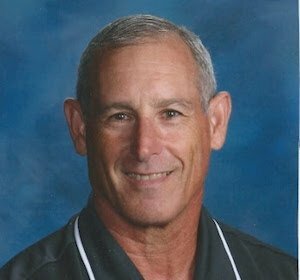 The 61-year-old Savitz spent his first 33 years at Irmo High School before moving to River Bluff High School when the school opened in 2013. He is the 2016 NSCAA High School Boys’ National Coach of the Year (large public school category). I grew up in Columbia, South Carolina, and by my senior year of high school in 1973 I had played all sorts of youth sports -- but soccer was not something that was super big. Then, all of a sudden, a buddy of mine asked, "Why don't you try soccer?" So my senior year I picked it up and fell in love with it. I went to Clemson University to play junior varsity soccer and then went and played club soccer at the University of South Carolina. It all happened pretty quickly, but I fell in love with it the first time I kicked a soccer ball. I became assistant coach for the club team at South Carolina and when they went varsity right after my playing career was up, I became Mark Berson’s assistant coach. There's so many things I enjoy about coaching. Coaching is teaching and I love doing both of those. I love the big-game atmosphere. I love being able to every year build a program with the new players. And I love the variety of the new team every year. I really don't enjoy tryouts, whether it's club soccer or high school soccer. I like the beginning of a new season, but I hate tryouts because I want to just start coaching -- and I don't want to tell somebody, “No, you don’t have a spot on this team that you’ve worked so hard for.” Telling a kid no and denting their dream a little bit and looking at how sad it makes them -- tryouts are never my favorite time at all. Parents who set unrealistic expectations for their sons or daughters are setting them up to fail or be disappointed. Parents should be cheerleaders and a support system rather than trying to live through their child. Just enjoy and love the sport instead. I got to meet and I pay close attention to Bruce Arena and listen to how he ran things and how he’s running things with the national team, so he’s been a big influence. Really, I'm just a fan of high-level coaching and I don't necessarily subscribe to one theory or one person. I follow it personally and on the Internet all over the world. If I'm starting to think that I might need to start playing a new system, I just get on the Internet and see who’s playing what and who’s having success with it. I also go to the NSCAA annual convention every year I can. 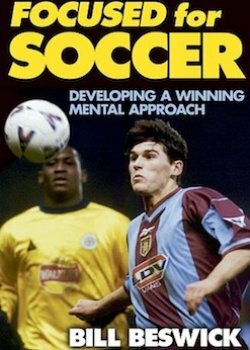 I guess I'm a little bit of a junkie when it comes to researching coaching, coaching philosophies and tactical schemes. I love reading about it, and learning from every coach whom I'm around. 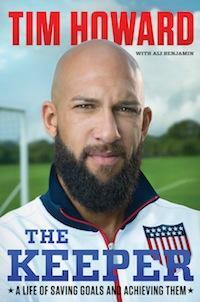 In “The Keeper,” an autobiography by Tim Howard, he talks about his experiences coming up through youth systems up to his professional and international debut. Going way, way back, the first soccer film I ever saw was “Pele: the Master and his Method.” Looking back that was probably still the one that made the biggest impression on me. When I first started, I had a player’s mentality. I was a player who was coaching. Now I’m a coach who used to play. When you have a player’s mentality, you want to try and show them everything. You want it to be how it was when you played. When you’re playing, it’s all about the competition. When you’re coaching, it’s about being more of a teacher. You’ve got to learn to step back and really watch, see what the game needs, be more patient. Let them figure it out, rather than trying to tell them everything. Let them experiment, let them make the mistakes. Ask them questions rather than giving them the answers. Put them in situations where they figure it out. One reason I love soccer is because it’s a player’s game. It’s player-centered, not coach-centered. For me whether it’s a youth coach or a higher-level coach, putting winning over development is always one of the biggest mistakes made and that could be something as simple as not emphasizing the fundamentals enough. I've seen many coaches who might pick big strong kids booting the ball down the field to score goals but then you see them four or five years later and now they can't do that anymore. They didn't develop properly so now it’s tough to take their game to the next level. Emphasize the fundamentals. … Make sure there’s no standing around and that they are always active. Don't ever coach the fun out of it. Kids are not going to develop a passion for the sport no matter what it is if they’re not having fun. One of my dreams is to be around to see the men’s national team in the final of a World Cup. When players come back for alumni games or functions and thank you for what you've meant to them over the years. That’s just such a rewarding and special time, when they want to include you in their life experiences. The alumni game is one of my favorite days of the year. 2 comments about "A coach's life: Phil Savitz, NSCAA High School Coach of the Year, South Carolina legend, big Bruce Arena fan". Nick Daverese, July 1, 2017 at 3:02 p.m. The development over winning I don't agree with it as coaches mean it. It is not devilopment or winning. A byproduct of development is winning. You develope players and your still not winning fire the coach. They use those words to keep their jobs when they are losing. Nick Daverese, July 1, 2017 at 3:07 p.m.
On Tim Howard when I first saw him his distributions were terrible even with the Metrostars. He got a lot better at it when Manchester United got him. That was one of the first things they worked on with him. When I first saw him his eye tick was very produced. I guess now he is on medication to reduce that. So when I first saw him I thought that would keep him from making the second or third save.